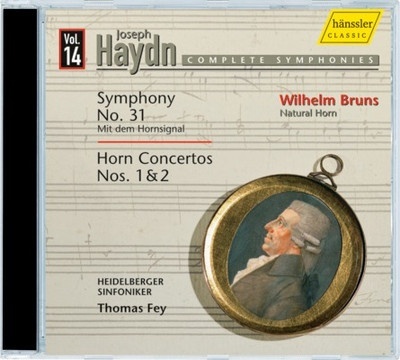 As a complement to the complete recording of the symphonies, Thomas Fey presents Haydn's Horn Concertos as a special treat! Above all, Wilhelm Bruns performing on a natural horn is a sensation. Bruns' mastery of these difficult scores gives them a warmth and naturalness not encountered in performances on the modern orchestral French Horn. Filling out the program is Symphony No. 31, nick-named "The Hornsignal"- the perfect companion work for the virtuoso concertos.